Welcome to the CSO Online Forms Facility. This facility enables survey respondents to complete selected CSO survey forms online in a secure environment. Survey forms using PDF format require Adobe Reader ( Version 10 or higher is recommended ) to complete PDF Survey forms online. This software can be downloaded free of charge from the Adobe website. For more details on Adobe Reader settings, please click here. 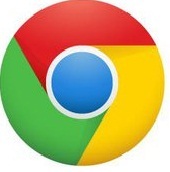 Google Chrome users, please click here for further PDF information. This facility will be extended to other surveys forms on a phased basis.